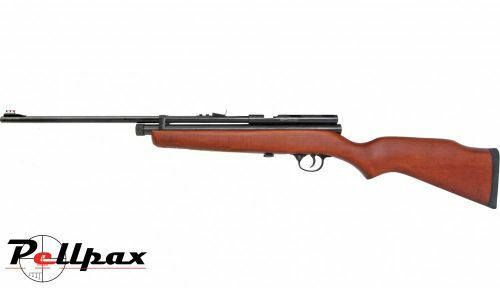 The Rat Sniper has to be one of the best air rifles on the site for the money, and we sell a lot in the shop thanks to its high accuracy, near silent shooting and low price. It takes 2 x 12g Co2 capsules and gives you approx 50 shots at around the same power output as the Ratcatcher. Ideal for pest control, this rifle produces enough power to provide assured one shot kills as well as laser flat trajectories. The classically shaped stock is tough, lightweight and ergonomic for great ease of use. Type: Bolt Action Loading .22 cal. Trigger: Single Stage three way adjustable. Barrel: Steel Rifled 12 grooves. Add this item to your basket & spend an extra £371.01 to apply for finance.